Abstract : A Tonnetz, or "tone-network" in German, is a two- dimensional representation of the relationships among musical pitches. 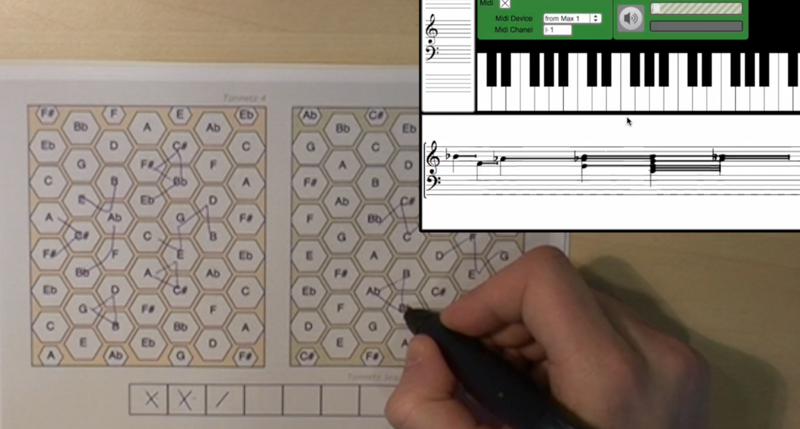 In this paper, we present PaperTonnetz, a tool that lets musicians explore and compose music with Tonnetz representations by making gestures on interactive paper. In addition to triggering musical notes with the pen as a button based-interface, the drawn gestures become interactive paths that can be used as chords or melodies to support composition.